Good Choice Reading: Behind The Walls Blog Tour -- Guest Post with Merry Jones! 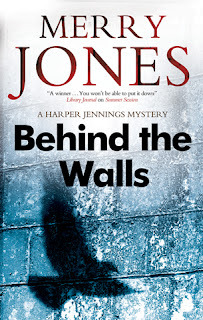 Behind The Walls Blog Tour -- Guest Post with Merry Jones! Very few jobs require solitude. For me, writing is one that does. I know: some people write on their laptops in crowded coffee shops. Or on the train on the way to work. The lack of solitude, however, doesn’t mean they aren’t alone; it merely means they can work in a noisy, throbbing background. Some writers “collaborate.” Honestly, I don’t know what that means. Maybe they discuss characters and plot before they write in actual solitude. Or maybe the collaborators write alternate chapters. Or alternate sentences, or alternate words. I don’t have a clue how they do it because my writing is something that flows from a place deep inside my own head. 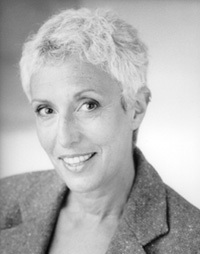 In fact—for me, writing and interaction are mutually exclusive. Unlike teachers, lawyers and pianists, we don’t perform our work in front of others. We have no subordinates, no officemates. No bosses. No clients. What we do and how we do it is unseen by our readers, even by our editors—All they see is the result. With that in mind, I’m going to do something I’ve never done before: in the interests of encouraging my fellow writers and fighting the secrecy bred by isolation, I’m going to open my office door and let you watch me work, thus revealing some dirty little secrets. 1. Despite what many writers say about needing to read incessantly in order to write, I almost NEVER read other people’s books while I’m writing one. I need to live in my own book, and reading fills my head with other characters and other writers’ voices. It gets in the way. So I do my reading between writing books. 2. Some writers work around the clock, or late at night, or before breakfast. They sit at their computers hour after hour, seeing even their spouses only sporadically. I can’t imagine doing that. I write three to five hours a day, almost but not every day. In daylight. After that, I do something else. 3. While I’m working on a book, I’m often bitchy until it’s finished. 4. While I’m not working on a book, I’m often bitchy until I begin a new one. 5. I’m never sure, while I’m writing a book, if it’s any good. 6. I’m never sure, after I’ve finished a book, if it’s any good. When my agent, editors, reviewers and readers say they like my work, I’m more relieved than elated. 7. Promoting my writing feels uncomfortable. Blogging about it feels uncomfortable. As I write this sentence, I feel uncomfortable. Writing comes naturally to me; promoting my writing does not. 8. I lose track of time while I’m writing; often my three to five hours pass without my noticing. Writing feels like a passive process, as if I’m listening to words in my head and merely writing down what I hear. 9. I never get dressed to work. Pajamas are fancier than my normal wardrobe. The sloppier and looser the better. And I have no food around me. No coffee. No soda. Nothing that will distract me. Nothing I can spill. 10. Sometimes, I use writing as an excuse to avoid things I don’t want to do. Fill in the blank: Sorry, I can’t ___________; I have to write. Okay, maybe those little secrets weren’t all that dirty. But telling them felt good. Freeing. Like stepping out of a dark hole and seeing the sun, even for just a moment, before closing the door and retreating again, without a cup of coffee, to solitude. When Harper Jennings' staunchest rival at Cornell's archaeology department turns up on her doorstep, babbling about seeing a Pre-Columbian shape-shifter, Harper doesn't know what to think. But then Zina is killed--and the more contact Harper has with the priceless relics Zina was cataloguing, the more her life starts going wrong. Now it's easy to imagine you sitting there in your baggy sweatsuit ...wondering if anyone will think your book's players are believable. And I also get why you never comment on any of my recommended reading. But, let's face it, you're still a babe!